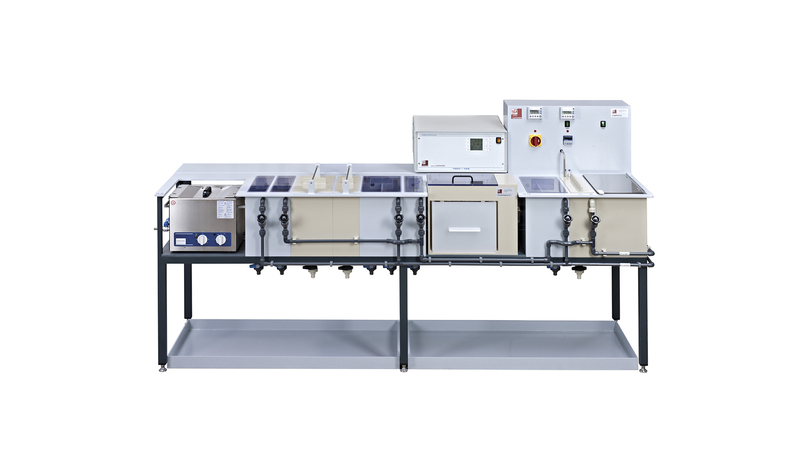 For the surface treatment of medical instruments and components we offer special designed tank systems and compact electroplating units, manually operated or semi-automatic with handling system and SPS control. The modular design of the electroplating units includes all the necessary process steps and tank applications for a high-quality surface. We offer as a system supplier, the development, design and construction of equipment and systems for the treatment of medical components . Additionally the complete product and service program, consisting of the delivery of customer-specific systems, components and chemistry, service and environmental concepts for the medical industry.